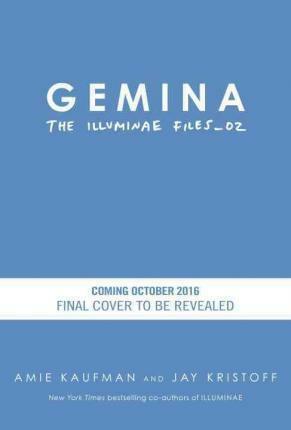 A New York Times Bestseller Brace yourself for GEMINA--the highly anticipated sequel to the book critics called "out-of-this-world awesome"--featuring journal illustrations by bestselling author Marie Lu! When an elite BeiTech strike team invades the station, Hanna and Nik are thrown together to defend their home. But alien predators are picking off the station residents one by one, and a malfunction in the station's wormhole means the space-time continuum might be ripped in two before dinner. Soon Hanna and Nik aren't just fighting for their own survival; the fate of everyone on the Hypatia--and possibly the known universe--is in their hands. New York Times bestselling co-authors Amie Kaufman and Jay Kristoff met thanks to international taxation law, and soon struck up a writing partnership based on a shared love of blowing things up and breaking hearts. Their first collaboration resulted in the international bestseller Illuminae. Separately, Amie is also the co-author of the bestselling Starbound trilogy, while Jay is the author of the award-winning Lotus War trilogy and the Nevernight Chronicle. They live with their respective spouses in Melbourne, Australia, and are fuelled almost exclusively by caffeine and readers' tears. You can learn more about Amie and Jay at amiekaufman.com and jaykristoff.com. From the Hardcover edition.